Slice a small piece from the top and bottom of the lime and sit it flat on your cutting board. Carefully slice away the zest and white pith of the lime until the flesh is exposed. Chop the lime into 4 pieces and place in the work bowl of a food processor fitted with the metal blade. Add the capsicum, mango, spring onions, dill and garlic. Process until smooth. Set aside. 2. In a large bowl, combine the coodles and the mango sauce. 3. Divide the coodle mixture among the lettuce leaves and garnish with spring onions and dill. Of this recipe says Suzi, ‘Melissa Pampanin, assistant to the head of school and school president at MUSE, tried out a plant-based diet in December 2013 as what she thought was just a one-month challenge, to try to heal up some skin issues. Well, one month turned into four-plus years, and she has no plans of ever turning back. Soon after going plant-based, Mel found a more fruit-based approach to the lifestyle and fell in love. 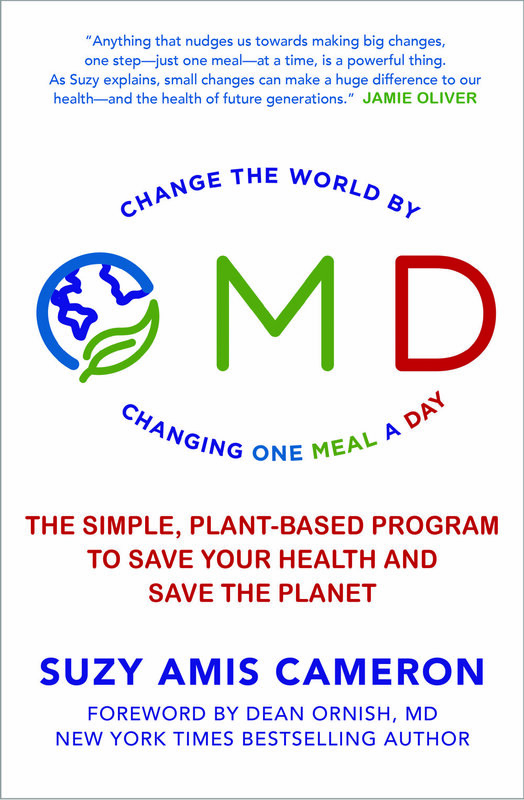 Text and recipes from OMD by Suzy Amis Cameron, Murdoch Books, RRP $32.99.